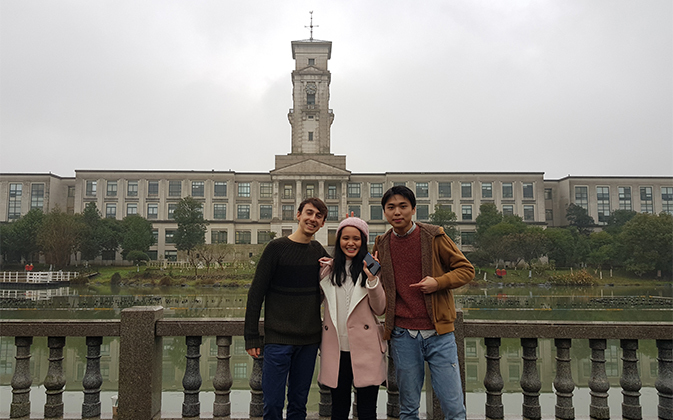 Current year 2 student Charmaine Phong from the School of Economics responds to a few questions and shares her semester exchange at the University of Nottingham China. When did you go for your exchange? Why the particular option, amongst others? I exchanged to the Ningbo campus in 2018 during the Autumn semester. I decided to do an exchange to the China campus because I was keen to learn about Chinese culture and language. The exchange to China has exceeded my expectations in man ways. Most people on campus can speak English to some degree. With the cashless system and delivery apps such as Taobao and TMall, living in China feels a little like living in another world. The campus is well equipped with sports facilities and food and beverage shops all around campus. Surprisingly most eateries on campus close quite early (some even as early as 7) but no worries as there will be street food sold right outside the campus every day from 10.30pm in case you get hungry at night. There are also many opportunities provided by the school to experience Chinese cultures such as dumpling making and mooncake making activities. International students have opportunities to travel around China on trips organised specially for International students (many of these trips are sponsored). What is the difference between the exchange experience (China campus) and the Malaysia campus? To me, the China campus has a more challenging syllabus. Econometrics 1 is very demanding. A lot of time and effort needs to be used to understand this module. I also had another module with 18 chapters and covers too much material considering it is only a 10 credit module. Furthermore, the class size is much bigger than here in Malaysia. Would you encourage students to undertake this exchange? I would encourage anyone who is interested to go for it. Although at times the syllabus might be challenging, at the end of the day I got to learn and experience so many new things as well as travel to many places in China. What is your focus this academic year? Does the exchange experience influence your plans? My focus this academic year is to obtain a high score.